It had taken me quite a number of years to build up the courage to return to a dentist after having some bad experiences previously, however I did not have any issues at all at Cherrybank. All the staff at Cherrybank were helpful and made me feel comfortable. I would like to thank all the staff involved in my treatments, I feel I have now got rid of my nervousness with dentistry and will continue to return to Cherrybank in the future. I had spent years feeling self conscious of my smile due to me not liking how my teeth looked, so much so that I even avoided dentists altogether. I considered cosmetic dentistry for a while before I did some research and came across Cherrybank Dental Spa in Edinburgh. I am so glad I did because not only am I amazed by my results but from booking the consultation right throughout the whole Invisalign process I was made to feel welcomed and relaxed. I was always kept informed about what was happening and what changes were being made. It really was a quick two years and I am beyond pleased with my smile transformation and can’t thank all the lovely staff enough. 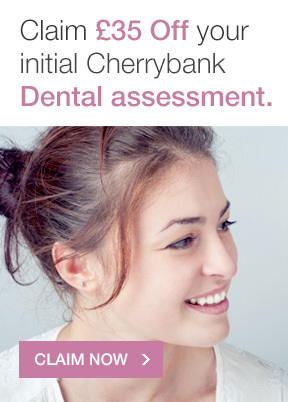 Whether it’s a simple check up, filing or a complete smile makeover I highly recommended Cherrybank to everyone. My only regret is that I didn’t do it sooner. I would like to thank everyone at Cherrybank Edinburgh who was involved with my Invisalign treatment. I was initially hesitant about doing the treatment because of the cost and the 4 hour round trip from home but after seeing the end results after 30 weeks, it has been one of the best decisions I have ever made. When it comes to my teeth and smiling for photos, my confidence has increased 200%. Throughout the 30 weeks, there was only 4-5 days where I had some pain but it was never overwhelming and I only took a painkiller 2 or 3 times. When I started Invisalign, my best friend never noticed I had my trays in & during the last week of my treatment, a work colleague noticed my Invisalign case on my desk & when I explained what it was, she said she had never noticed the trays at all. After seeing the before & after pictures reinforcing the vast improvements in my teeth along with the compliments I have had from people, I wouldn’t hesitate to recommend Cherrybank for Invisalign treatment. Thanks again!! I have finally found a dentist I can trust! As an anxious (OK, very anxious!) patient following a previous stressful experience, I am delighted to have just completed my final (yay!) treatment with dentist Chris McCrudden. 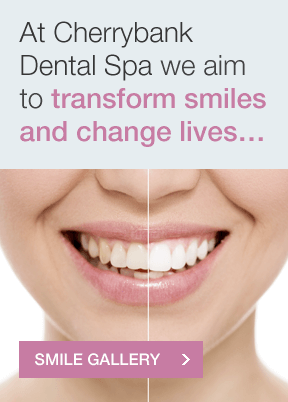 I have experienced Cherrybank Dental Spa in both Perth and Edinburgh practices and I challenge you to find better! You always receive such a warm welcome at reception and the lounge area is so relaxing. Even the treatment rooms don’t feel like you are “at the dentist”! Each step of the journey with Chris felt totally controlled and reassuring. My extensive treatment list included hygienist visits, replacement fillings, a new crown, two veneers and tooth whitening – all of which was totally pain-free! I now have straighter, whiter teeth and I am absolutely thrilled with the result. A warm smile is a universal language and, in my job, mine may be the only one someone sees all day. Now I can smile with confidence. I was always very nervous visiting the dentist, in fact I would only go when it was really necessary, but it was completely different when I attended Cherrybank Dental Spa, the staff there put me at my ease right away. Chris the dentist took me through the procedure step by step. I had imagined it would be really painful, but when I put on the earphones which were provided (if required) I just sat and listened to the music and hardly felt a thing. The result was, I left after several treatments with a lovely set of teeth. I had opted for veneers and also required two new crowns, which cost a substantial amount of money, but it was well worth it. I can smile with confidence now, and the beauty of it is that they look so natural. I only wish I had visited Cherrybank Dental Spa earlier. A big thank you to all the staff. At the time of treatment it felt like a lot of money, and a fair bit of discomfort, but here I am 6 months down the line and I find I have only one regret – I wish I had done it sooner! Thanks so much to the whole team for your perfect care from start to finish. Thank you so much to everyone at Cherrybank. I am absolutely delighted with my new smile, it is something that has always bothered me, and with getting married next year, it finally gave me the push to do something about it. My treatment was fast and very effective and at each appointment I was made to feel very welcome by all the lovely staff. I would recommend Cherrybank to everyone. I’ve always hated going to the dentist (horrendous experience as a kid with a monster Dentist) and I’ve literally never been happy with my teeth. It’s genuinely changed my life having this work done. Harriet and Robyn have been beyond excellent throughout. Lauren was also great, even though she essentially tortured me in my first appointment with that awful gum depth checker thing! And of course you’ve been brilliant coordinating everything and helping me work out my treatment. I could gush on and on, but you get the idea. Thank you so much! The team at Cherrybank Dental Spa went above and beyond during my treatment. 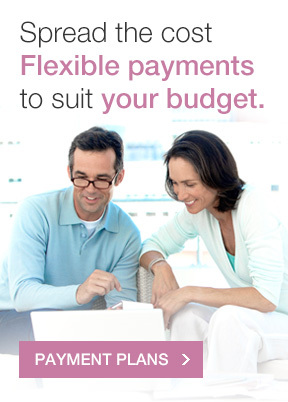 They listened to my concerns and helped work out a plan that was right for me and within my budget. Dr. Morse and her colleagues have done an incredible job and constantly made me feel comfortable and well looked after. I really can’t recommend them enough. I have gained so much more confidence with my smile. I work on a reception and was very aware of my light and dark toothed smile. Now I have a very natural looking smile, my teeth are even in height and colour. The staff and dentist were so friendly and helpful, and every procedure was explained in a manner I could easily understand. Yes the procedure is expensive but well worth it. I expect to pay for a skill, and these veneers are a mark of a very skilled dental technician and dentists. Thankyou everyone at Cherrybank. I had neglected my teeth and gums, and knew I had to pay for the price. The process has been much better than I expected, and I wish I had found Cherrybank earlier. This is a different kind of dental practice. I am very happy with the treatment I have received from Cherrybank dental spa. I had been unhappy with the way my smile looked for years but I didn’t think I would ever do anything about it. It was so easy to make an appointment and the staff were extremely helpful in explaining treatment options to me. The whole treatment from start to finish has been very easy and stress free. I would recommend Cherrybank to everyone. I am very pleased with the overall service at Cherrybank Dental Spa. All staff members are always extremely polite, positive and happy. My smile looks now just perfect and as I wanted it to be. Many thanks for everything. I cannot thank Cherrybank enough. Now I will be able to smile everyday without worrying about my front teeth overlapping! The teeth whitening for me was the finishing touch to my teeth and now I love my smile. The service at Cherrybank was amazing! They really do go all out to make you feel welcomed, special and like an individual! I have loved every visit, and not many people say that about dentists! I found my treatment very worthwhile. The time I had them flew by – I hardly noticed wearing them. No pain or discomfort and no-one noticed I was wearing my invisalign. I would recommend my treatment – it made a huge difference to my bottom teeth and everyone at Cherrybank was very helpful. I now feel a lot more confident about my smile and am really pleased with the results. The treatment was a bit of a hassle, taking out the retainers for night’s out etc and smoking. But on the whole I was very happy with the treatment. Thank you! Staff at Cherrybank were really lovely and very helpful. There was a couple of problems, but they were very apologetic and sorted the problems really quickly. The Invisalign is amazing and I would recommend it, and Cherrybank Dental Spa, to anyone. Having had fixed braces before, I knew how intrusive dental treatment could be. In comparison, Invisalign was a breeze! Hardly anyone noticed I was wearing them, most were amazed when I pointed them out. Now I am so much happier with my smile, and would recommend Invisalign to anyone considering it! Very pleased with the results of Invisalign – I am now happy to smile a full smile! Service from the staff here was great, v.friendly & professional. Thank-you! The clear braces worked really quickly – only 4 months which is great as I needed them moved in time for my wedding in 6 months. The results were amazing & I’ve had so many comments from people on the difference. I also had whitening treatment which worked really well and made such a difference to the staining I had before. I’m really pleased I picked Cherrybank to have my treatment as all the staff were really friendly + welcoming + Dr Pozzi especially did an amazing job. Ireally felt as if the staff cared about the progress of my treatment + the final results. It’s definitely been worth it! My treatment at Cherrybank has made me feel so much more confident about my smile. My driver was to have a great smile for my wedding and I certainly feel I have achieved this. The staff, Dr Pozzi, in particular couldn’t have been more helpful. The Invisalign treatment was great – quick, simple and great results – plus it’s hardly noticeable. The end result provides more confidence and now I’m always smiling in photos! Before my treatment, I was extremely self-conscious about my teeth. I never smiled properly for photos and I always hid behind my hands. Now, I don’t even think about hiding. I am much more confident and feel so much happier in myself. Thankyou to everyone at Cherrybank. It has been a fantastic experience which I would highly recommend. I was initially nervous about embarking on dental treatment but now on completion of my programme I am thrilled with the results! Definately worth it in the end, with encouragement and support throughout the process. Teethy pictures from now on in! I cannot thank Cherrybank enough. Now I will be able to smile every day without worrying about my front teeth overlapping! The teeth whitening for me was the finishing touch to my teeth and now I love my smile. The service at Cherrybank was amazing! They really do go all out to make you feel welcomed, special and like an individual. I live about 180 miles away so it is quite a journey to get here, but I have loved it every time, and not that many people say that about dentists! I am very happy with the treatment I have received from Cherrybank Dental Spa. I had been unhappy with the way my smile looked for years but I didn’t think I would do anything about it. It was so easy to make an appointment and all the staff were exremely helpful in explaining treatment options to me. The whole treatment from start to finish has been very easy and stress free. I would recommend Cherrybank to anyone. Very good experience overall – very professional and I’m very happy with the results. I would highly recommend Cherrybank Dental Spa to anyone. 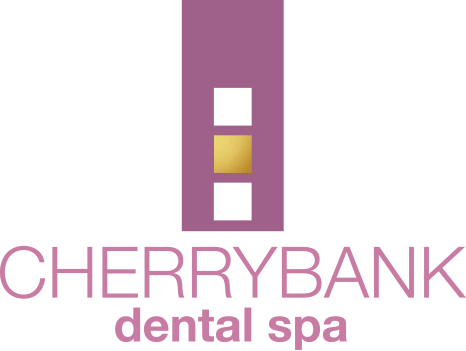 My experience at Cherrybank Dental Spa has been an overwhelmingly positive one. From the cheerful greeting at reception, to the attention to detail in my treatment – I’ve felt very well looked after. I highly recommend Invisalign; unobtrusive, discreet and manageable as a form of teeth straightening. I am delighted with the results and feel more confident about smiling again. It’s the best thing I have ever done! 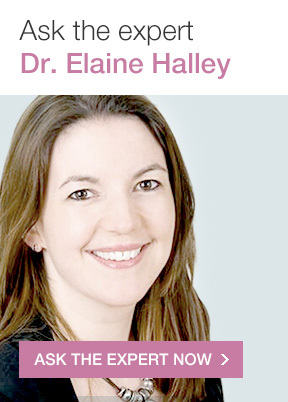 I was very nervous at first because you hear about so many stories about things going wrong with fillers and botox. I came along to the Edinburgh dental spa with a friend who was also having treatment done. Meeting Miranda she put us both at ease, by explaining the botox procedure and it was virtually painless and done in minutes. I can’t tell you how happy I am and what a confidence boost it has given me sorting out those little tweaks as you get older (I’m 45). She and the staff were very professional and the clinic itself very warm and inviting. I am now going to have my teeth straightened and this clinic has given me the confidence to go ahead. From the moment I stepped in to Cherrybank Dental Spa I felt completely at ease. I used to be so un-confident to smile in public, but the staff here talked me through all the options available to myself very clearly to provide the perfect smile, and no pressure was put on me. All the staff are a pleasure to deal with and my treatment of Invisalign ran smoothly. Some parts were sorer than others but the staff ensured my needs were met (hot towels, music etc) to ease the pain. Overall, I would recommend any treatment at Cherrybank. They have truely helped me in becoming confident to smile. I am over the moon with the results. I am sooo happy I chose Cherrybank. I was very impressed with the level of care. I would recommend this practice to anyone with sensitive teeth, as they are dedicated to patient comfort and providing optimal pain relief. I’m really happy with the results. I can’t stop smiling and showing off how great my teeth look now. 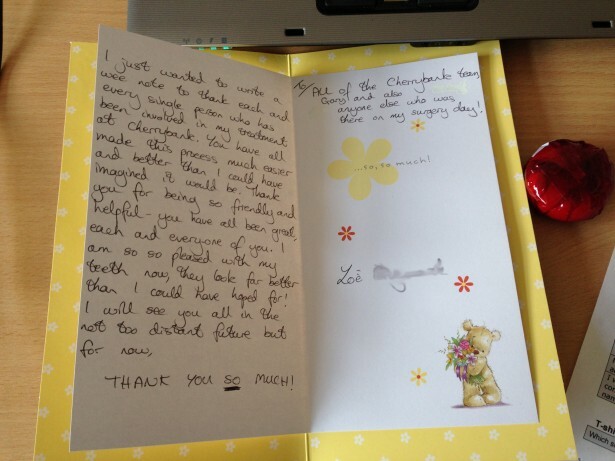 Cherrybank are great – the staff are all lovely and look after you so well. After not being happy to smile in photos or feeling very self conscious in company, I am finding I am much more confident when socialising and proud of my lovely new smile!! Great dental experience from start to finish. I’m very pleased with the final result and am now much more confident with my smile. I’d recommend Cherrybank to any friends and family. The work performed has been significant in raising confidence when smiling, and even talking. You know your teeth just “look right”. Also, at each step of the journey, the staff are friendly, efficient and explain every aspect. Questions are answered honestly and I really felt the team got pleasure from seeing the results. I started treatment to straighten my teeth using Invisalign clear aligners on both my upper and lower teeth. The service I received was excellent with everyone proving to be very helpful. The course itself lasted for six months with the aligners only proving to be slightly awkward at meal times, otherwise you would hardly notice them, especially the lower one. I have no hesitation in recommending this treatment to anyone. had the Invisalign treatment. The treatment was quick and staff were very knowledgeable and made me feel at ease. The process was smooth and the information supplied was clear and relevent. Very happy with the results. I initially went to Cherrybank dentist in Edinburgh to have my teeth straightened using the Invisalign system. The treatment took just over a year and I couldn’t be happier with the outcome – beautiful straight teeth! I wouldn’t hesitate to recommend Cherrybank. Their staff are top notch and the service I received was first class. So much so that I can’t imagine going back to my regular dentist – I now have all my dental requirements attended to by Cherrybank. Their costs are extremely reasonable for 5 star treatment. They make me feel extremely relaxed and going to the dentist is no longer to be dreaded. I would absolutely recommend Cherrybank for their care, attention to detail and professionalism. Everyone from the reception to the dental surgeon were fantastic. Every question and concern was taken care of with 100% satisfaction their over-riding aim. I am delighted with my new smile. Thankyou. My experience with Cherrybank Dentists in Edinburgh has been very good. The clinic is comfortable and the staff are all very nice. I wore an Inman Aligner for approx 3 months, followed by one “Invisalign” clear brace for 1 month. I am happy with the results and would recommend the appliances as the time passed by quickly. The Inman Aligner made it difficult to talk, but it was only for a short period and it was removable, so it was worth it.